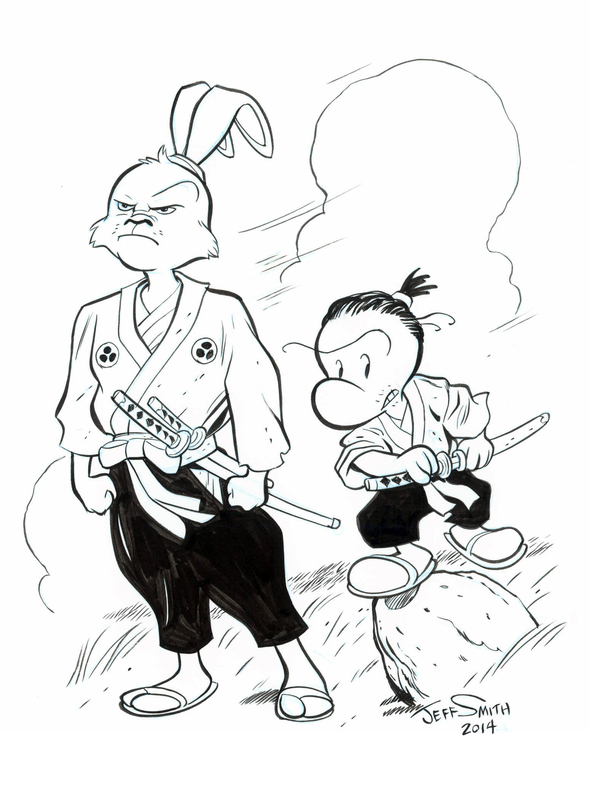 On Thursday, March 6, 2014, Southern California’s CAPS, the Comic Art Professional Society, will launch an ongoing series of eBay auctions of original comic art. 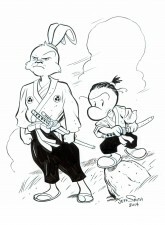 Its goal is to raise funds for medical care for Sharon Sakai, the wife of respected cartoonist and longtime CAPS member Stan Sakai, creator of the samurai rabbit USAGI YOJIMBO. Sharon has been battling a debilitating brain tumor for some time; after an extended hospital stay and convalescence, she is currently at home, but her condition requires 24-hour care and medicine that costs more than the Sakai’s insurance covers. 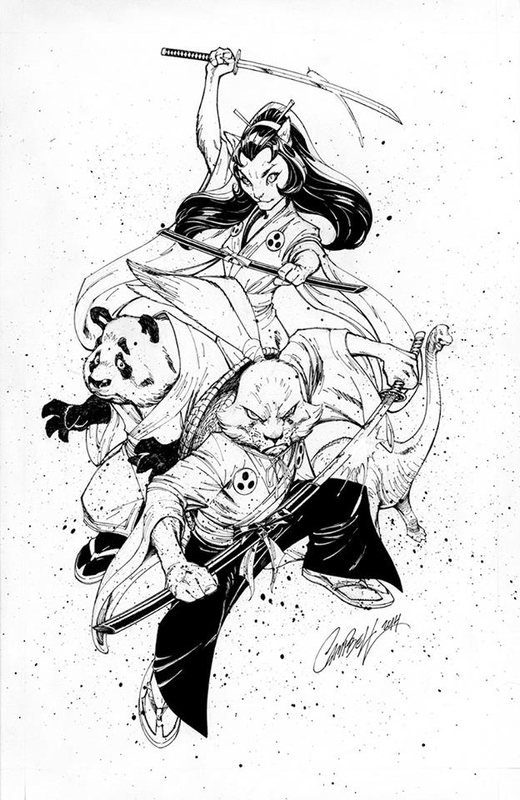 100% of the proceeds of these auctions will go directly to Stan and Sharon Sakai to help pay their ongoing medical expenses. Contributors include: Adam Hughes, Alex Maleev, Arthur Adams, Batton Lash, Darwyn Cooke, Eric Powell, Jan Duursema, Jerry Ordway, Jordi Bernet, Matt Groening, Michael Allred, Mike Mignola, Paul Gulacy, Sanjuliàn, Scott Shaw!, Jim Steranko, Tim Sale, William Stout, Bill Sienkiewicz, Cameron Stewart, Dan Brereton, Daniel Parsons, Dave Gibbons, Dean Yeagle, Doug Sneyd, Dustin Nguyen, Bill Morrison, Tone Rodriguez, Sergio Aragonés, Fabio Moon, Francisco Francavilla, Gene Ha, Geof Darrow, Gilbert Hernandez, Jack Davis, James O’Barr, Kevin Eastman, Jeff Lemire, Jeff Smith, Kazu Kibuishi, Liam Sharp, Tom Richmond, Michael Jantze, Olivia, Oscar Martin, Paul Chadwick, Richard Corben, Tom Mandrake, Walter Simonson, Charles Vess, Dan Spiegle, J. Scott Campbell and many more. Staff Picks for March 29, 2017 – Afar, Hillbilly, Lobster Johnson: The Pirate’s Ghost and More! Staff Picks for June 21, 2017 – Space Riders, King-Cat Comix & Stories, A New Low and More!